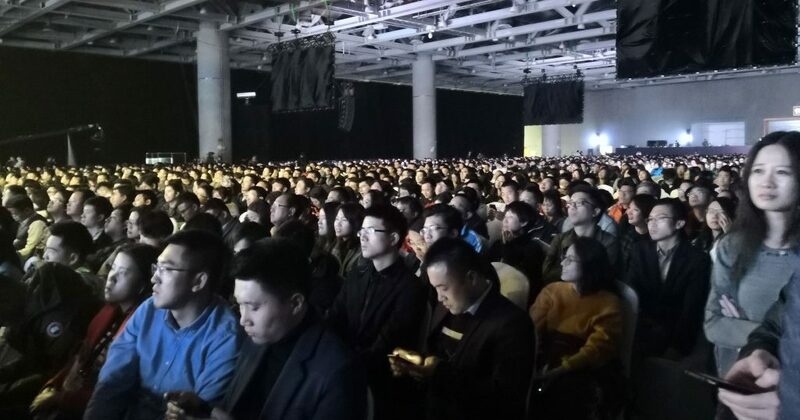 As you might have heard by now, the founder of WeChat Allen Zhang delivered an epic 4-hour late night monologue at the WeChat annual conference in Guangzhou a few days back. I was lucky enough to witness the entire 4 hours live (standing at the side of the stage until midnight, sore feet, I tell you). Official accounts weren’t made for everyone. Bloggers and individual content creators have made the best use of them. Over the years there are now more channels for users to access information. If the quality of content is not sustained, user stickiness will decrease. The effect your official account is bad not because we revised the system. We revised to help the user reorganize their reading style, and to improve the user’s reading efficiency. Good content is fundamental. 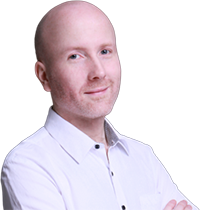 The responsibility of the platform is to allow more people to produce higher-quality content. If there is no high-quality content, then either the platform is not doing well enough, or we’re not attractive enough. WeChat needs to strengthen its ability to attract good content. From a platform perspective, a good platform should encourage more creators to create good content. Early on 70% of the readers of official accounts came from content that was shared on moments, and the rest being directly from the push to subscribers. This is in line with the characteristics of a good product, with 80% of people benefiting from the content selected and shared by the 20%. The original purpose of the separate official account app (launched last year) was to facilitate more people to partake in writing articles, although up until now we still don’t see much of an impact. “Top Stories” is a place outside of moments that is not just for sharing, but a place for reading. Social recommendations are different from algorithmic recommendations. They have their own internal system of balances. After the introduction of “Wow” (the new social recommendation article feed), “Top Stories” data showed an increase. What is the driving force of WeChat? 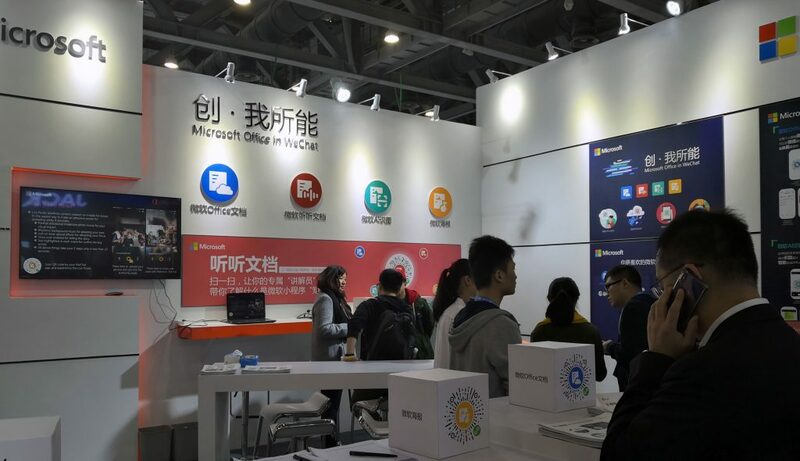 Firstly, WeChat as a tool, WeChat hopes to be a good product, a tool-oriented product that keeps pace with the times. Second, WeChat can (help us) do more things, and let those who (wish to) create value, express that value. In essence, WeChat is still a tool. It’s more appropriate for WeChat to position itself as a lifestyle tool. Only if a platform can benefit many people, then this platform is alive. Tools are there to help users improve efficiency, rather than let users waste time in their product. Sometimes a user wants to message someone, but the user doesn’t know that person’s name and there’s no solution. But if you could find someone through their associations, then this feature would be very valuable. WeChat wants to do something in this area. WeChat’s essence is a social tool. Posting content on a social newsfeed (WeChat moments) is a process of building your own personal brand (status) in the minds of all your friends. Each post that you send represents your own personal brand that you promote. The more you have your own shortcomings you have, the more you post to strengthen things. Until recently (7.0 update) WeChat didn’t have a tool to record people’s genuine real life, that’s why we did WeChat stories. WeChat stories is not another moments. Users don’t need to keep the videos, it’s to encourage everyone to record their daily life. This new feature is completely separate from moments. The number of people using moments has grown continually over the past six or seven years. The number of people using moments daily is now 750million, and the total number of times the feature is opened every day exceeds 10 billion. Moments is the most efficient social tool. The weakness of moments, is that it’s a completely open forum, meaning that what you say in the forum many people can hear and thus there will be a lot of pressure. The greater the social reciprocation, the greater the pressure. More than a 100 million users used the setting so only the previous three days of their moments posts are visible. This speaks to the social pressure that users feel from having that permanent record out there in public. If I was to go back and do moments again, I would separate out a personal private photo album feature. 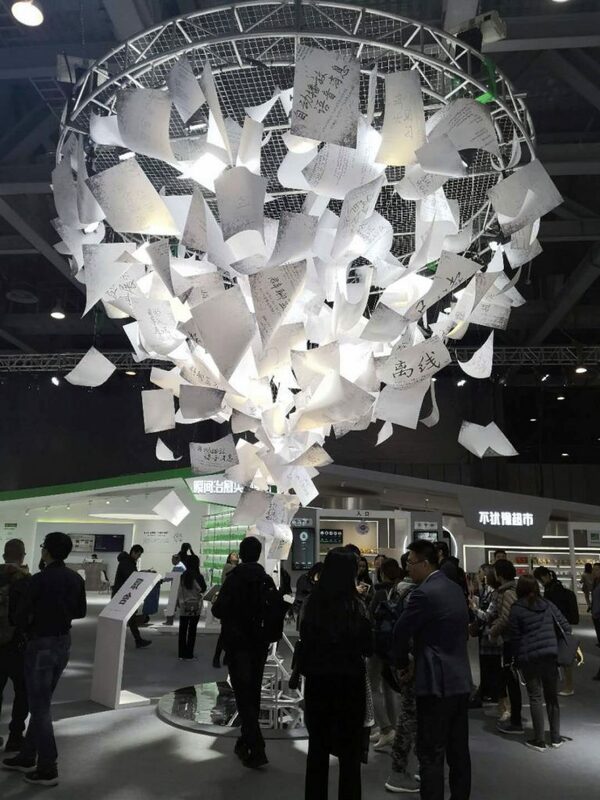 Video holds more information than photos, in the future video will definitely replace photos to become the method through which people record things.WeChat will continue to try and guide users to take videos. Stories is the reverse of moments, it’s not necessarily beautiful, but it’s real. The final direction for the product is to let users freely shoot videos of things with no pressure and record the world around him or her. We don’t worry about competition with other internet companies, because the mini programs that other companies do won’t be the same. Why are mini programs decentralized? Because if we don’t do things decentralized, then WeChat will monopolize the traffic and the whole ecosystem will be gone. Allen’s not optimistic about mini programs as a form that can distribute traffic, as this is completely different from their original motivation of doing mini programs. Even companies that Tencent invests in must follow the rules of the platform. In the future, more manpower and resources will be invested in protecting the platform, including equal treatment of companies they have invested in. The key focus for mini programs is acquisition through offline QR codes and online through search and social sharing. They aim to improve the small programs ratings and user evaluation systems. WeChat is not unwilling to allow mini programs to send push notifications to users. In appropriate situations they may allow a mini program to push one to three pieces of information to the user that they need. Mini games have been successful from a business perspective, but they have failed to live up to Allen’s personal expectations. Allen feels there’s a lack of real high-quality games. Most mini games are copying each other and simply focusing on tactics to gain user traffic. Mini games is a platform for creativity, mini games are a format which can bring out all kinds of ideas and creativity. WeChat has been investing a lot of energy into AI. Good technology serves the product, AI should better serve users. Allen clarified his previous quotes around “kindness”. We should be kind to the user, not have the attitude of using the same old routines, and it should be a rational kindness, and then the users will use our products more. 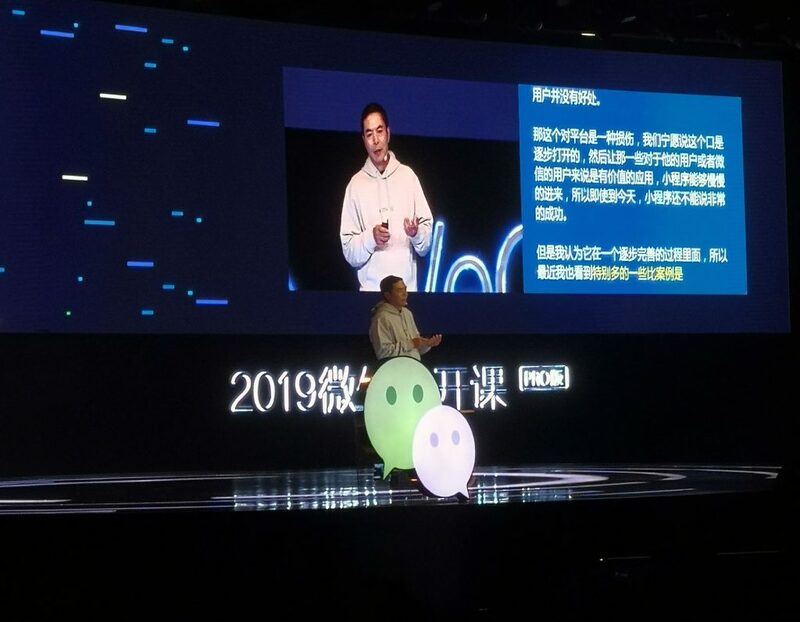 WeChat has already reached the threshold of 1 billion users.WeChat’s goal is not to expand the number of users now, we have to think about providing services for existing users. 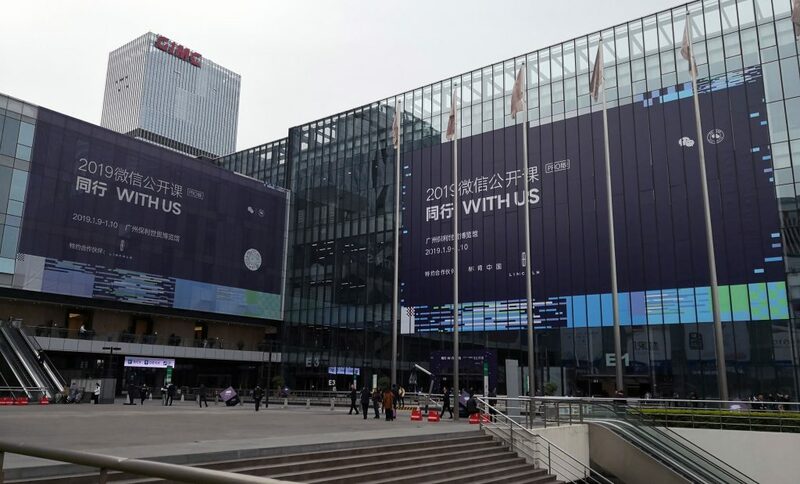 Facing the future, Allen does not believe that the threat to WeChat comes from competitors, but from WeChat itself. 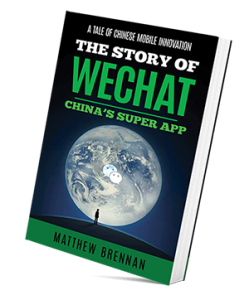 Can WeChat always have the ability to innovate and break through. N.B. I would like to acknowledge and thank the WeChat official account 微果酱 WeJam. (For those of you who read Chinese I recommend following their WeChat account. Copy and search the name in WeChat) I used their bullet point Chinese summary notes version as the framework for this version which saved much time. All translation, further editing, annotations, and explanations are all mine. Pictures used are also mine.